I usually paint in a dust particles layer into my renderings to increase the realism of the final picture. (Needless to say, I don’t add dust particles in the air in every render, just where it fits :P ) Up until now I just used stock footage as a base for this, but after Gleb Alexandrov (Check him out if you haven’t already!) 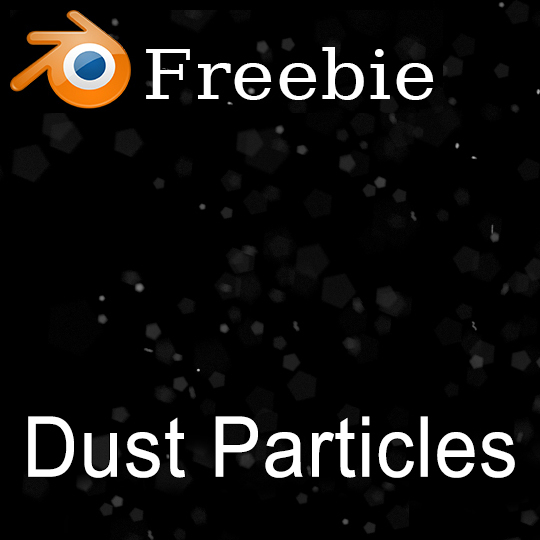 asked about ideas for a postprocessing tutorial I thought of creating a simple Blender file to create these dust particle layer myself and not having to rely on stock fotos. Grab the .blend file here! 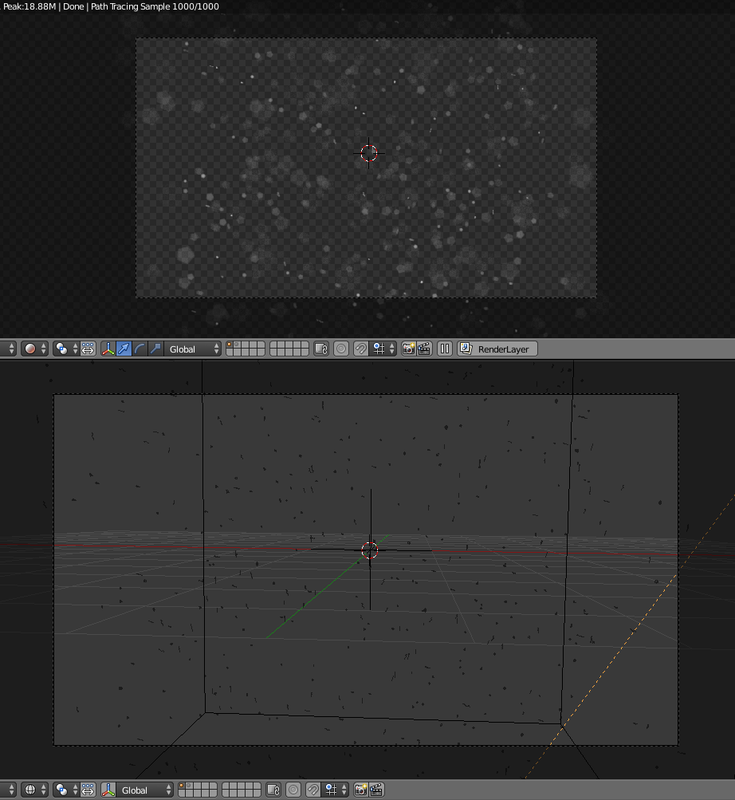 You can either just render out a dust particles picture directly or use the particle system in you own scenes. In this case you just scale the cube containing the particle system to fit your scene and adjust the particle count as you see fit. Using the “FocusPoint” Empty you can control the cameras focus point, in the “Depth of Field” tab of the camera properties you can adjust the “Size” value or change the number of aperture blades for different out-of-focus (“Bokeh-“) shapes! 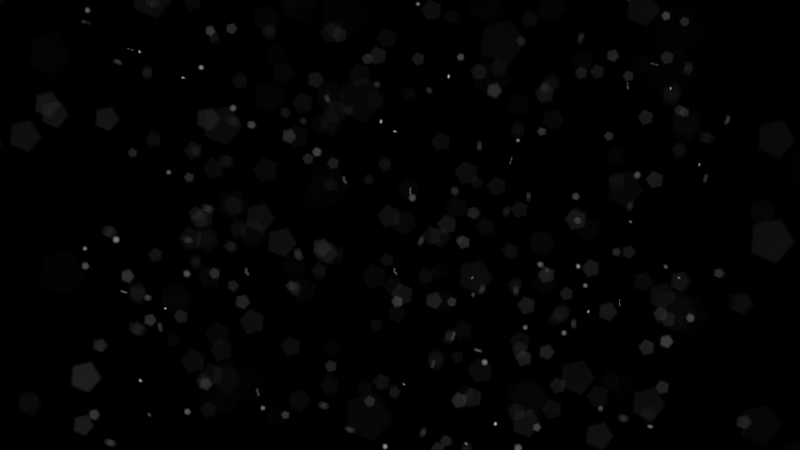 In the render properties you can set the “Film” to transparent for a transparent background (so you can just slap this dust layer on your render) or leave the “Transparent” checkbox unchecked and render on a black (or whatever you want) background (you can then use screen or lighten or a similar blending mode in your compositing). I hope this is of use for some of you, have fun and show me what you made with this!